NOW AVAILABLE AT WESTWAY INDOOR POOL! Enjoy swimming lessons in an indoor environment that ensures adequate protection from the weather elements such as UV, rain, and haze! Get unparalleled learning comfort with a heated pool to ensure the water temperature just feels right for the body! And be assured that our saltwater chlorinated pool is much gentler on your skin compared to normal chlorinated water! At Little Swim School's latest premier facility located at Westway Mall along West Coast Highway, we invite you to enjoy swimming lessons like never before! Find out more, or register here today! IT IS NEVER TO LATE TO START, IF YOU START NOW! A big part of being a responsible adult / parent is the ability to take care of yourself, and look after your children in the water. 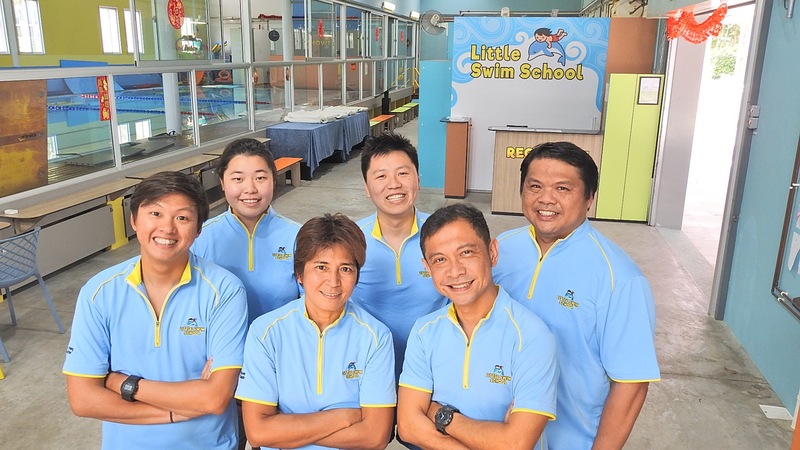 If you think you are too old, or it is already too late for you to start learning how to swim, try talking to one of our students, Mdm Quek, who was well into her 70s when she first approached Little Swim School for swimming lessons. So what's your excuse now? Life skills aside, if you cannot swim, then you're missing out on a host of fun activities life has to offer. Snorkelling, water slides, scuba diving, canoeing, kayaking and jet-skiing are just some examples of water activities that require basic swimming skills. So, if you can't swim or are not water-confident, then you certainly can't be part of these activities. Swimming not only cuts through all age groups, but regular swimming can yield significant, long-term health benefits. It is not uncommon to hear of people overcoming common health issues with regular swimming. In some cases, they've noticed an improvement in their general well-being, and can focus better on the more important things in life such as careers and families. Swimming has also been proved to aid in improved blood circulation and improved heart health. Whether you are a complete beginner, or have some knowledge in swimming, Little Swim School can tailor swimming lessons to your existing capabilities and comfort level in the water. The important thing is to start now, for once you've got the momentum going, you'll soon be gliding through water on your own, and on the way to a better and healthier you. The health benefits of regular swimming are numerous, proven and well-documented. Here, we'll just highlight ten reasons why you should get started on your swimming regime. So what's the best time to start learning to swim? Our guess is that you already know the answer. Embark on your journey in water proficiency with Little Swim School by registering with us today!